In late December, U.S. defense officials confirmed reports that they were planning for the possibility of bringing home up to 7,000 of the roughly 14,000 U.S. troops currently serving in Afghanistan. And while there has been push back against President Donald Trump’s proposed drawdown, the president appears poised to follow through with those plans after a meeting with Republican lawmakers Wednesday. “In today’s meeting, he stood up for a strong America and steadfastly opposed foreign wars. Putting America First means declaring victory in Afghanistan and Syria," Sen. Rand Paul, a longtime critic of foreign military interventions, said in a statement after the meeting. If the change indeed goes through, it would come after the bloodiest year for U.S. forces in Afghanistan since the previous drawdown in 2014, when the U.S.-led coalition shifted to an advisory role under NATO’s Resolute Support mission. The death toll has been matched with increased airstrikes against insurgent forces that rival all other years on record. The bombing was a component of Trump’s South Asia Strategy, a plan designed to drive the Taliban to the negotiating table through a mix of international pressure and kinetic operations. The troop drawdown being floated by Trump is far from solidified, but it does hint at how little faith the president has for the mission. At his first Cabinet meeting of 2019, Trump said former Defense Secretary Jim Mattis was “essentially” fired because he didn’t do “a good job" with the war in Afghanistan. By contrast, Mattis appeared to not favor a change to the troop count in Afghanistan. He wrote in his resignation letter last month that Trump would be better served by “a secretary of defense whose views are better aligned" with his own. 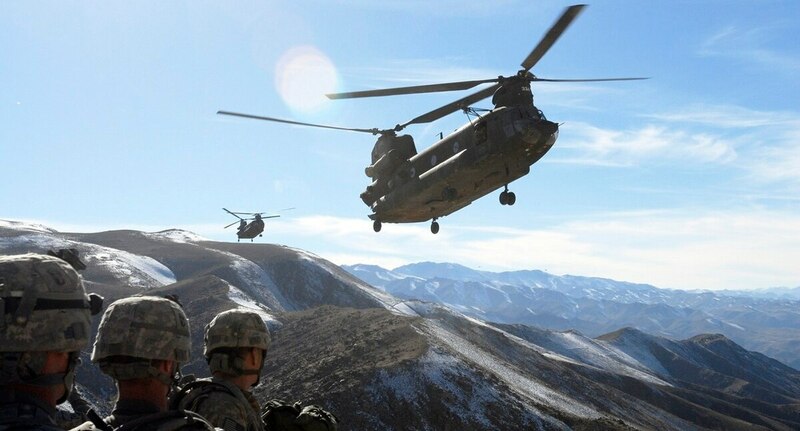 Leaving Afghanistan would backtrack on a main tenet of the South Asia Strategy, which stipulated that “a hasty exit from Afghanistan would simply allow terrorists to flood back into that country and begin planning attacks on America,” according to the Defense Department website. Marine Lt. Gen. Kenneth McKenzie Jr., the incoming head of U.S. Central Command, appeared to still agree with that sentiment during his confirmation hearing before the Senate Armed Services Committee Dec. 4. In 2018, 13 U.S. troops were killed during combat operations in Afghanistan and 115 were wounded in action. That is a slight increase from 12 killed in action and 106 wounded in 2017. And while the U.S. has caused far worse casualties for the Taliban, the militant group shows little interest in quickly negotiating an end to the war. Some long-time watchers of the conflict argue against a troop number change. Instead, they are pushing for a change to mission’s focus. One such advocate is Michael O’Hanlon, a senior fellow at the Brookings Institution who specializes on defense policy. Strengthening Afghan forces will help keep the country’s cities and main roads in government hands, allowing the U.S. to continue counterterrorism operations in South Asia for the long haul, O’Hanlon said. 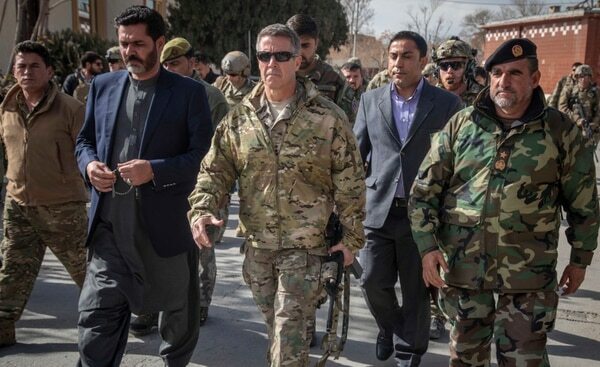 After more than 17 years, Afghan security forces still need significant coalition support, as they proved incapable of halting Taliban offensives from temporarily taking portions of Farah City and Ghazni City this summer. “If we left precipitously right now, they would not be able to successfully defend their country," McKenzie said during his confirmation hearing. O’Hanlon recommended drastically expanding the Afghan National Army Territorial Force concept — a locally recruited “hold force” that frees up Afghan regular troops for offensive operations. The program could help with Afghan Army recruiting and retention, since many Afghans prefer to defend their home territories rather than distant parts of the nation. O’Hanlon’s report also recommended that the Afghan strategy in 2019 focus less on remote parts of the country. Instead, Afghan forces should consolidate police checkpoints into fewer, better defended outposts so they are less vulnerable to being overrun by Taliban ambush, he said. While O’Hanlon’s recommendations would be more readily achieved by keeping the number of U.S. troops in-country at roughly their current number, “it can also be attempted, with reasonable prospects, at smaller deployment figures if necessary,” he said. Meanwhile, another issue U.S. forces have been plagued with in Afghanistan is also reportedly being addressed. Insider attacks have long been a staple of the Afghan conflict. But this year, the attacks were much more prominent. Army Gen. Austin Scott Miller, the top U.S. commander in Afghanistan, was even present during an Oct. 18 insider attack that left a key Afghan general dead and wounded an American one-star general. There have been four insider attacks in 2018, according to archived press releases on NATO’s Resolute Support website. That is compared to no insider attacks in 2017, one in 2016 and two in 2015, the year the Resolute Support mission began. In September, Mattis said the Afghan military began to increase its vetting of local forces working with Americans after the first spate of insider attacks. The increased security checks for Afghan forces will “make certain we’re catching people who have been radicalized,” Mattis told reporters at the Pentagon. Last year also saw a massive increase in the U.S. bombing campaign in the country, as the Pentagon worked to negotiate with the Taliban from a position of strength. The U.S. dropped more munitions in Afghanistan during the first 10 months of 2018 than in any other full year since documentation began, according to data published by U.S. Air Forces Central Command. From the beginning of the year until the end of October, U.S. forces released 5,982 munitions in Afghanistan. That surpassed the previous annual record of roughly 5,400 munitions dropped in 2011, a time widely considered the height of the war. AFCENT’s figures include bombs, missiles, AC-130 gunship shells and strafing fire. The scaled-up airstrikes do not appear to be having a major impact on the Taliban’s control of territory, however. As of July, the Afghan government controls or influences a little more than half of the country’s 407 districts. 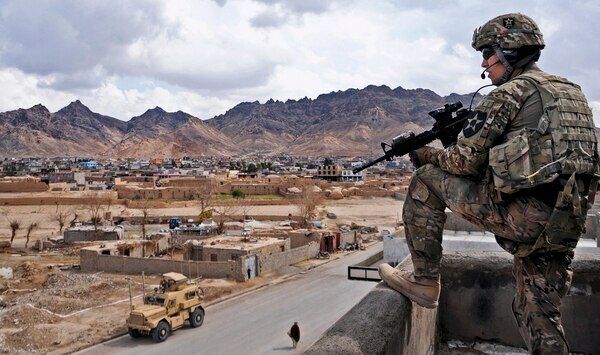 That is the lowest level since the Special Inspector General for Afghanistan Reconstruction began tracking district control in November 2015, according to the agency’s quarterly report released in late October. For the commander of all NATO forces in Afghanistan, though, the pressure remains on both the Taliban and the Americans to end the conflict, because neither will win through force alone. “This is not going to be won militarily,” Miller said in an October interview. “This is going to a political solution."